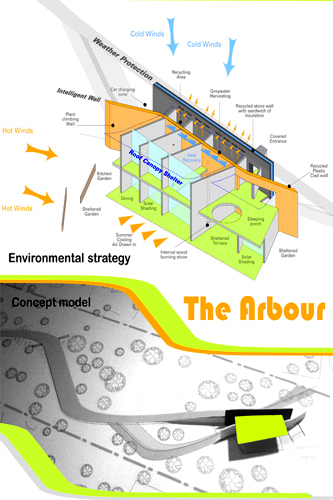 The Arbour was our entry for the American Institute of Architects 2009 ideas competition. 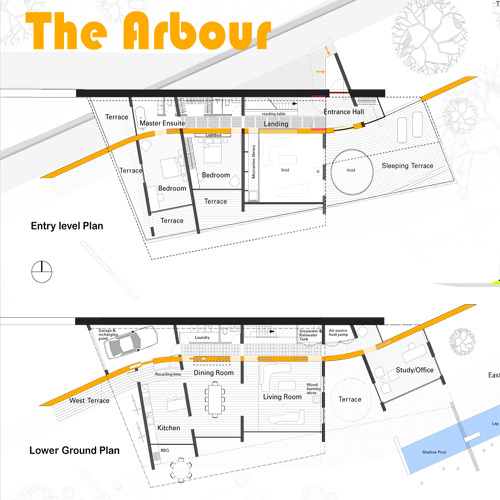 The proposal is site specific to the wooded suburban site. 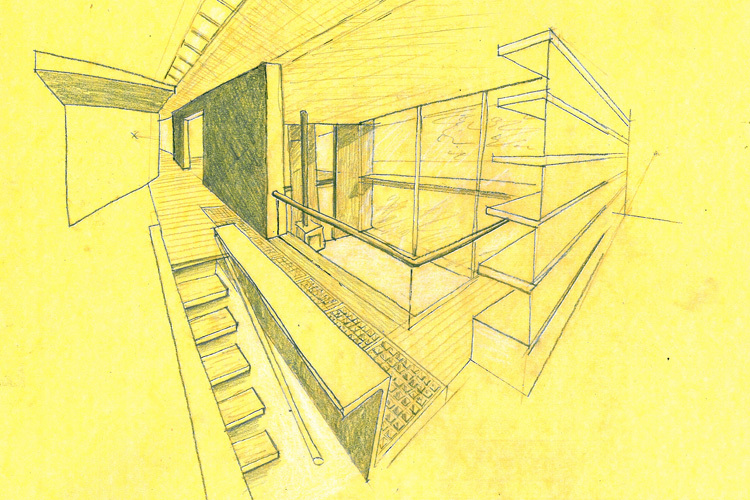 Passive energy savings are built into the structure and orientation of the house. We have used the abandoned knowledge of the past to achieve a comfortable cost effective environment. The house shelters behind a large wall that protects it from the winter weather, provides privacy and acts as a heat sink stabilizing temperatures throughout the year.